Together we can build a better health. The Together.Health Collaborative (formerly the Digital Health Collaborative) is large and growing quickly, representing over 40 digital health accelerators, incubators, economic development organizations, government organizations, and other community leaders. These organizations work with thousands of partners, startups, investors, thought leaders, and politicians from around the world. By leveraging the regional strength of these organizations at a national and international level, the Collaborative is well-positioned to make a massive impact for the health industry. 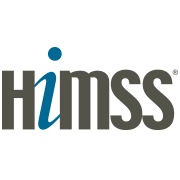 Read about how we got our start from our first few meetings at Connected Health Conference 2017 and HIMSS 2018. Together.Health’s Steering Committee selects projects to focus on. A project team must be led by at least two regions of the Collaborative. Anyone can come to the Collaborative with a problem they want to solve and pitch it to the Steering Committee for approval. Standard BAA (Standard Security Assessment) - Contribute to our data set here. Together.Health © 2019 - Powered by MassChallenge, Inc.